Cruz is from the north western part of the Dominican Republic; very close to the Haitian border. He shares his first name with his father. Together with Dominga, Nelson’s mother, the elder Cruz raised three children: Nelson and his two sisters; Olga and Nelsy. They lived in a rented home with three beds between the five of them. Both Dominga and Nelson Sr. were teachers; Dominga, elementary school; Nelson, high school social studies. Nelson’s middle name comes from his grandfather, Ramon. He was a farmer who raised cows, bulls and rice. As a boy, Cruz would split time between school, his grandfather’s farm and his uncle’s auto shop. It was basically anything his father could get him to do to keep busy and out of trouble. “If you don’t have free time, you don’t have time to do wrong,” Nelson Sr. Despite all of this, the 4 time All-Star had time for sports. His favorite? Basketball. He chose hoops over hardball because he worked long hours, six days a week. When he was finally off it was dark out. The fields near him had no lights and no teams met on Sundays, his one day off. The courts, however, did have lights. It wasn’t until Nelson was a teenager, nearly out of school, that he played baseball regularly. It didn’t take long for scouts to notice his ability. Mets’ scout Eddy Toledo approached Nelson and told him he wanted to see him play. The future Major Leaguer struck out three times the game Toledo attended, but it wasn’t enough to keep him away. They got to work on a deal. The only thing that halted talks was Nelson Sr.’s insistence that the younger Cruz finish high school before training with the Mets minor leaguers in the Dominican. They would work things out and put pen to paper, making Cruz a professional. After that, things got difficult for Cruz. In fact he wouldn’t even leave the Dominican in a Mets uniform. He played there for parts of three seasons and, despite hitting .351 with 15 home runs in 2000, New York felt he wasn’t progressing enough and sent him to Oakland in exchange for Jorge Velandia. The Athletics organization really let him put his mark on minor league baseball, climbing from the Arizona Fall league to Triple-A Sacramento in parts of four years. However, he saw just four games of action in Sactown in 2004. It’s possible that Oakland felt his development was taking a bit too long. Whatever the reason, he was sent to Milwaukee along with Justin Lehr in a trade for Keith Ginter. From there, he would tear through the Brewers double-A opponents and hit well enough in Triple-A to get his first cup of Major League coffee with the Milwaukee Brewers in 2005. But it was only eight games as a September call-up. He would start the 2006 season at Triple-A Nashville for the Brewers until the season’s trade deadline approached. In a fairly big blockbuster move at the time, Milwaukee sent both Cruz and Carlos Lee to Texas in a swap for Laynce Nix, Kevin Mench, Francisco Cordero, and Julian Cordero. Cruz would get his first crack at a full time gig in the bigs. It wouldn’t last as he showed big power but poor discipline at the plate. It caused him to yo-yo between the minors and majors for the next two seasons. He was too good for a farm team, but just couldn’t hack it with the big club. The Rangers brought him up in 2007 for 96 games. 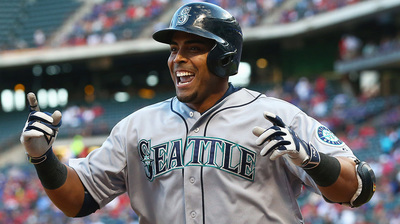 While there he slashed .235/.287/.384 with 9 home runs, 34 RBI, 21 walks, and 87 strikeouts. With Triple-A Oklahoma City that same season he slashed .352/.428/.698 with 15 home runs and 45 RBI in 44 games. It was night and day. Texas had lost so much hope that in 2008 he was placed on waivers. Any team could have had him for $20,000. No takers, and it’s a good thing for the Rangers. Over the next season he would establish himself as a regular; a fixture in a team that would go to the playoffs three straight years from 2010 to 2012, winning the pennant twice. Later he would sign with the Baltimore Orioles and hit 40 home runs while being selected for the All Star Game and also the Oriole Team MVP. 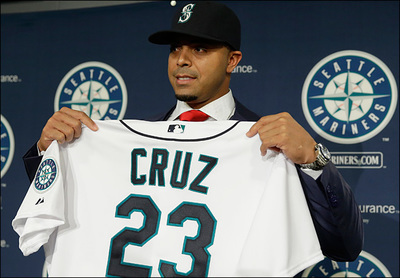 Cruz signed a 4 year deal with the Seattle Mariners and in his first year he was an All Star again while again winning the Team MVP Award. He bat .302 with a career high 44 home run to win him his first Silver Slugger Award. Off the field, Cruz has been very active and continues to be involved in the community in the United States and in the Dominican Republic, his home country. 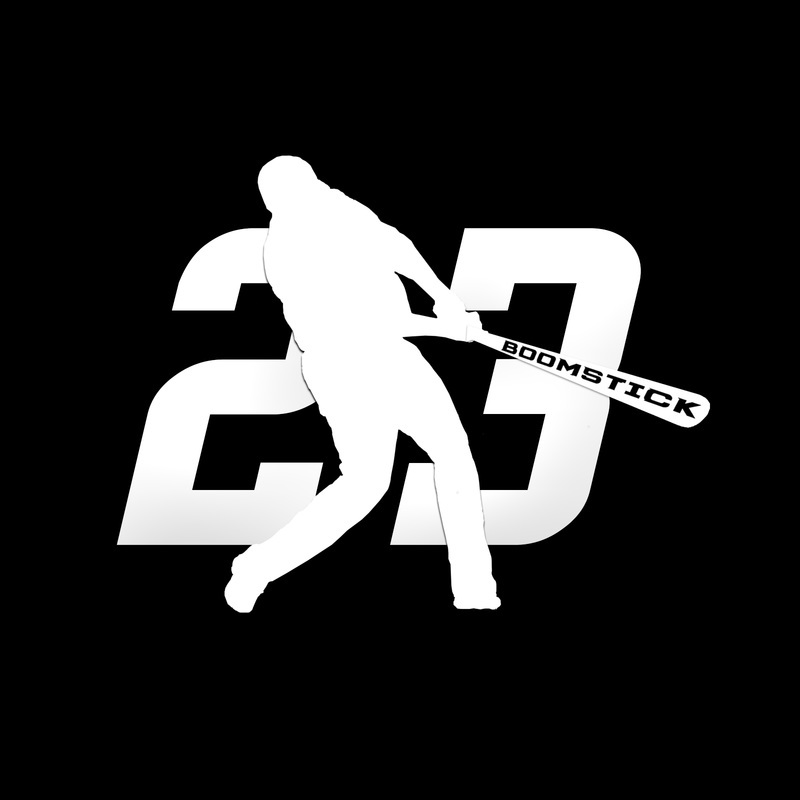 He has formed the Boomstick23 Foundation that will allow him to continue to give back even more.